Okay, so I couldn’t manage perfecting the fit on a simple shift dress. 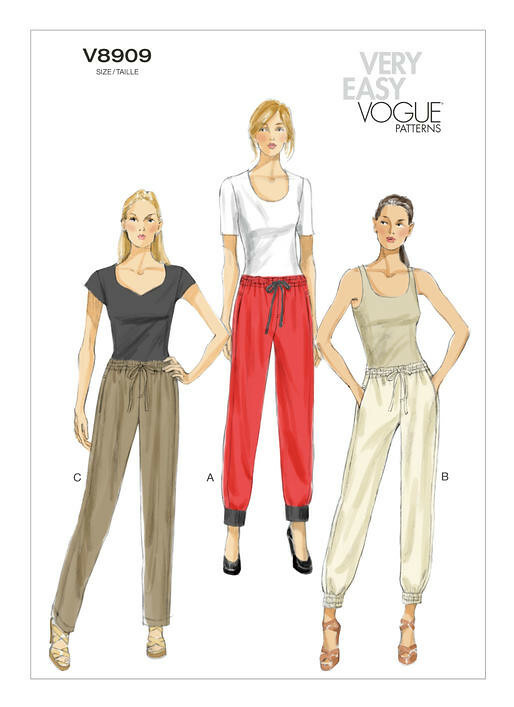 I knew what kind of low-maintenance, soothing, easy win sewing project to take up next: pants. The first pair I’ve ever made. What could possibly go wrong? The waist on this illustration is so misleading, these suckers come up to your bra wires unless you adjust the pattern. Second pants ever: Vogue 8909 with zipper leg detail. Status: Done! Waiting to take photos. Beginning embroidery: Spring Tattooed Lady kit. Status: Done! Waiting to take photos. Sweatshirts: Blueprints for Sewing, Geodesic. Status: 2 of 3 finished, may revisit #1. Shift dress even if it kills me: Simplicity 1776. Status: On deck. Bookbinding: French Link Stitch kit. Status: On deck.